I’m overwhelmed! There’s so much to plan for my upcoming travels, I don’t know where to start. I’m going to a bunch of different places, and I want to make sure I get the most out of each destination but I also don’t want to plan too much, since I know I’ll probably find cool stuff to do once I’m there. What do I need to do before arriving at each new destination? Patricia, you have the right idea in not wanting to plan your trip too much. Some of the best travel experiences happen on the fly when you meet new people and discover opportunities that can’t be found online or in guidebooks. You may or may not have a decent internet connection at your destination; if you’re travelling with a smartphone, you can download maps of your area for offline access as and when you need it. Some countries’ social etiquette require you to be more covered up than others, especially if you want to visit local temples. Don’t show up to a muslim country with luggage full of tank tops and shorts! Do you have an overnight layover? You might have some inexpensive options that allow you to catch some shut-eye without having to go far from the airport. Some airports have rooms you can pay by the hour for. 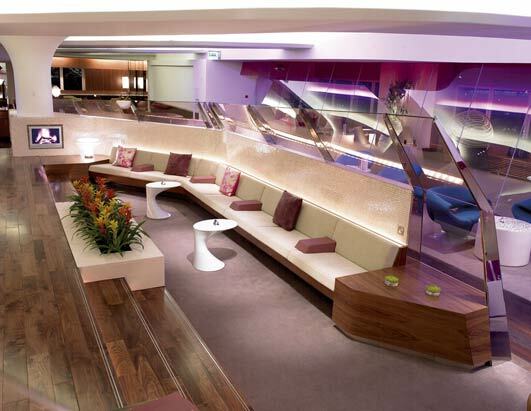 Others have business class lounges for which you can buy a pass, with showers and areas to relax in style. Or maybe there’s an inexpensive hotel or hostel around the corner from the hotel, that provides free pick-up and drop-off. Most airport websites will show you these options. If you’ve got a really awkward layover (such as arriving at 11pm and catching your next flight at 5am) and the above options don’t appeal, check out Sleeping In Airports for information on the best and safest places to hang out in and around airports around the world. I don’t like booking flights with anything less than a 90-minute layover since terminal changes, security checks, and delayed flights can create havoc with connecting flights. Even with a 90-minute layover, a delayed flight and busy arrivals lounge can mean missing your connection. Take a quick look at your airline’s flight schedules in advance so you know what options you have for getting on another plane, and how long you might have to wait. Professional travellers almost unanimously recommend booking your first night or two of accommodation before arriving. One time when arriving to Singapore late at night by train, I neglected to do so, and ended up wandering around the city most of the night in search of available accommodation, since I didn’t realize it was a special holiday and everything was full. Deia Bong has traveled and lived as an expat around the world, and on her site Nomad Wallet she teaches people how to afford travel. “I check hotel booking sites and AirBnB to find cheap accommodation in a good location,” she says with regards to booking her accommodation before arriving. Even if you’re staying for a while, you only need book the first few nights; once you arrive you might meet people or find better accommodation that you’d prefer to move to. This is another staple checklist item for experienced travellers. Some airports are better outfitted with public transportation options than others. Research exactly where your accommodation is in relation to the airport/train/bus station and how you can get there. Airport and hotel websites often provide this information, and a google search will usually result in finding a forum where travellers share links, prices, schedules, and recommendations. Deia’s recommendation for checking the tourist board website is good for more than transportation options; you’ll get a basic overview of what’s available at your destination, current information, and occasionally access to a special accommodation or tour deal. If you use North American tipping policies abroad, you might end up overtipping at best, and at worst you might offend somebody. Research and understand the tipping policies for taxi drivers, hotel staff, restaurant staff, etc., before you arrive. By calling your bank and credit card companies to advise them of your upcoming travel plans, they will create a travel alert on your file. (In some cases you can do this online). This significantly decreases the chances of your purchase being denied at the counter due to your bank/credit card company flagging a foreign purchase as potentially fraudulent. To get the inside scoop (and sometimes free accommodation), connect with a local before you arrive. There are a variety of websites and services that will connect you with locals abroad, the most popular of which is Couchsurfing. Sarah of Coffeewithasliceoflife.com is a global gypsy and scuba-addicted travel blogger, who swears by it: “The Couchsurfing homepage has loads of info on events/meet ups organized by locals in that area. Go along to one and get chatting, and you’re likely to come out with a new place to stay and some tour guides!” Sarah suggests you complete your profile before you leave and get references to increase your chances of local hosts inviting you to stay with them. Another cool way to find a local and experience a home-cooked meal or off-the-beaten-path tour is to find a host on Withlocals; a peer-to-peer marketplace connecting locals with travelers for unique and cost-effective cultural exchanges. You may think you know the weather at your destination, but it’s always worth double-checking. When I visited Australia I was flabbergasted at how cold certain areas were during their winter season. It’s not as much of a “sunburned country” as I thought – and I suffered for it by not being prepared. Using tools like tourist board websites, guidebooks, and online searches, check out what you can see and do at your destination. It’s good to know what’s available and what the general costs are. But don’t pre-book much (if anything) before you go; you can often find different options when you arrive that might be better-suited to what you want, and cost even less. Trekking in Nepal is an example; many travellers pre-book tours and trips from abroad and buy all kinds of expensive trekking gear, only to arrive and find local guides at a fraction of the online prices and lightly-used trekking gear being off-loaded by tourists who bought brand new gear just for the trek and didn’t want to lug it back home. Not all tour operators are listed online; in fact the more local you want your trip to be, the more it will behoove you to wait and see what you find once you arrive. You may want to buy a local SIM card at your destination, and you can save time by researching your options before arriving. Becky Ances has travelled to over 25 countries and has spent the last five years living and travelling through Asia. Even if she’s staying somewhere for a few weeks, she gets a local SIM card and has it working within 24 hours of arriving. “I look it up online at some traveller’s forum like Trip Advisor to get recent, exact info for my brand of phone and to see if what options or companies are best for my needs (best for me is low minutes and high data).” She also looks at maps of the airport before arriving to see if there’s a phone store near the arrivals gate (as there often is). As an alternative to buying a local SIM card, you could get an international SIM card which gives you a Canadian (or US) phone number for family and friends to call you on, no roaming charges, and reasonable rates for calls and data abroad. I have one with G3 Wireless and have found it very useful. James: I check restaurants near hotels and base my hotel choice on this. I also check opening times of attractions and find their locations on a map. Sarah: I look at Google Streets to check what the area around my accommodation looks like (so I know I’m in the right place/I can find the door etc). For food and tourist stuff I ask for recommendations and maps from reception staff on arrival. Carole: I use Google Earth to suss out area. Is there anything you do before arriving at a new destination that’s not on this list? Please share in the comments! I like to look up what attractions/museums etc. have free or discounted days. I also look for the free walking tours, which are always awesome to acquaint yourself with the place. Of course a good tour deserves a good tip! Great advice and great list! Thank you! Cool tip – Thanks, Linda! This is a great list, Nora. One I would add that’s easily accomplished is to learn/brush up on some language basics. The tool I use is Fodor’s Travel Phrases. I’m an Apple user, so I have the app on both my iPad and iPhone. Many years ago I bought their entire package of languages and the $15 or so has more than paid for itself. What I like about Fodor’s Travel Phrases, and others like it, is that basic expressions are organized in useful categories and each expression has both written and audio versions. An Internet connection isn’t required so it’s easy to practise, and test yourself, just before arrival. Great suggestion! Do the offline travel phrases also come in handy while communicating with people? As in, you can either show the phrase to them on your phone or play the audio of the phrase to get your point across? Don't subscribe All Replies to my comments Notify me of followup comments via e-mail. You can also <a href='https://www.creditwalk.ca/comment-subscriptions/?srp=3875&srk=2648578ecea05c83754707575dc5a494&sra=s&srsrc=f'>subscribe</a> without commenting.